Whether your calendar and to do lists are kept on paper or digitally, the trick is to actually use them, to actually look at them. Digital planning systems present a unique challenge because of the possibility of distraction. We might grab our phone from our pocket to check our to-do list but end up browsing Facebook instead. Although calendars and lists kept online and in apps are easier to organize, keep clean, and have always on hand, we have to exercise greater discipline with our technology if we’re going to master it rather than have it master us. Here are 5 tips for using our technology to become more productive rather than less. 1. Use 2-3 different apps rather than an all-in-one option. While it might seem more efficient to use one app for managing everything, that isn’t always the case. Apps are generally specialized to do one thing well – a precise tool for certain needs. Specialization allows the app to function faster and smoother, because it’s not trying to be everything and anything. Just like it’s more efficient to put shirts and pants in different drawers rather than all mixed together, it’s better to keep appointments on a calendar, tasks in a task manager, and reference in a text app like Evernote (Learn more about Evernote for homemakers). 2. Have set daily times where you look over the calendar and your task list. Lists do you no good if you don’t look at them. 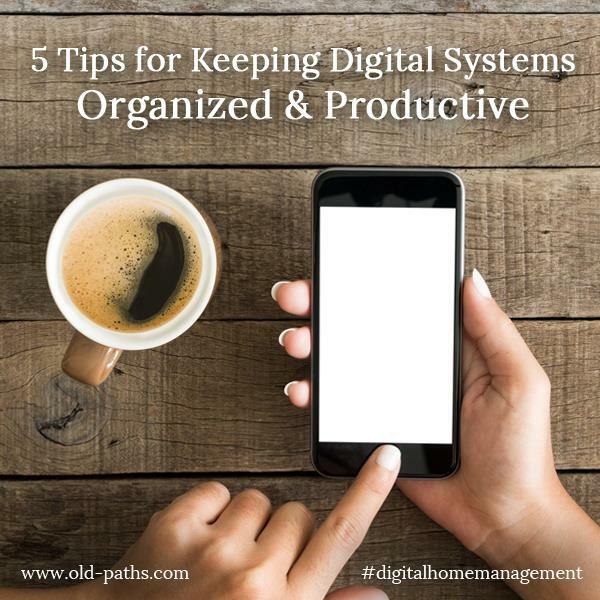 In order for your digital system to improve your productivity and actually be useful to you, you need to build the habit of checking it. Since you’re going digital, using an alarm named “check calendar & to-do list” might be the best way to begin building the habit. In the morning, look at your calendar and to-do list to get a feel for the day, and in the evening look it all over again and update it to ensure it remains accurate. 3. Decide where each kind of information belongs, and keep it only there. Back to the closet analogy: Keeping your shirts and pants and socks in different drawers is more efficient and organized. But, if you set up the drawers (your apps) for a certain function and then tossed anything in whichever one was open at the time, that organization would be lost in no time. Always keep appointments on the calendar and no where else. Always keep tasks in your to-do list. Always keep reference material in your reference app. 4. Actually keep your phone with you all the time, but use the DND options liberally. In order to enter information wherever you are and whenever you need to, your phone or tablet must be with you. Make it a habit. However, that doesn’t mean it has to be a constant source of interruptions. Use the “do not disturb” and silence features liberally – you should be the one deciding when you need to look at your phone. Don’t let your phone become the boss. 5. Put your distracting apps on the second screen or in a folder (or both). One helpful tip for keeping yourself on task when you’re using a device for productivity is to put anything non-essential and potentially distracting on the second or third screen. You can go even further by putting them inside a folder. Adding extra swipes and taps to the process of opening those distraction-inducing apps will help prevent the habitual, unconscious opening that is so easy to slip into. Remember that when you are using your devices as tools, you must remain the master, firmly in control of your usage. If you can maintain focus when your phone is always in your pocket, it can be a powerful tool to help you get a lot done without the stress of keeping everything in your head. 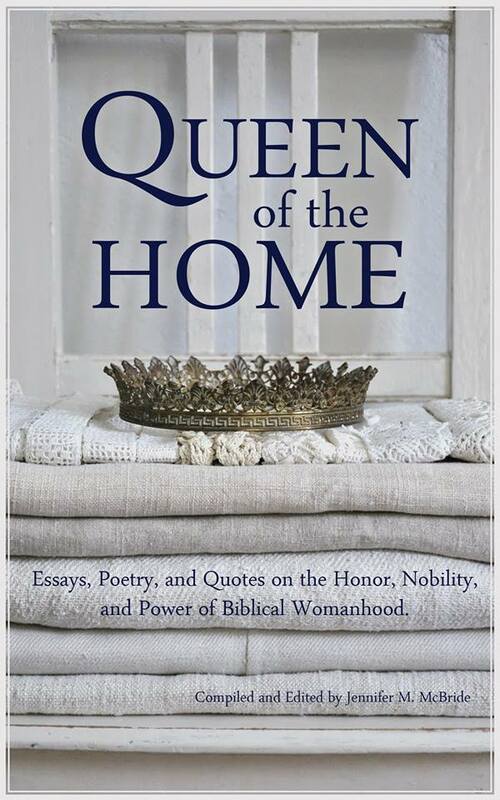 Mystie and her husband, both second-generation homeschoolers, have five children whom they educate at home classically, seeking to cultivate wisdom and virtue in themselves as well as their children through discipleship in a simple life full of Truth, Goodness, Beauty – and a lot of books. Mystie blogs at simplyconvivial.com about homeschooling, homemaking, and apprenticing our children in life.